The apple barons at Calvados Boulard have launched a new limited-edition expression that spins their widely available 4+ year old VSOP Calvados by finishing it in bourbon barrels. (Calvados is primarily aged in new oak or, more commonly, previously used Calvados barrels.) This expression is the first release in Boulard’s new 12 Barrel Collection, which will explore a variety of cask finishes. The release is limited to just 500 cases globally, half of which are coming to the U.S., so snap it up if it sounds intriguing. The nose doesn’t give up many hints of the bourbon barrel finishing: Apple-cinnamon notes are heavy, with just a hint of barrel char underneath. The palate is interesting, though again not wildly off target. Notes of frozen banana meld well with more cinnamon notes that show up here, but as with Boulard’s rack VSOP, it’s still rather immature, showing some greenness and the sharpness of youth. The finish finds a growing bitterness and a light astringency, though it is never unpleasant. All told, this isn’t an overwhelmingly massive departure vs. other styles of Calvados, perhaps because it hasn’t spent enough time in the finishing barrel. 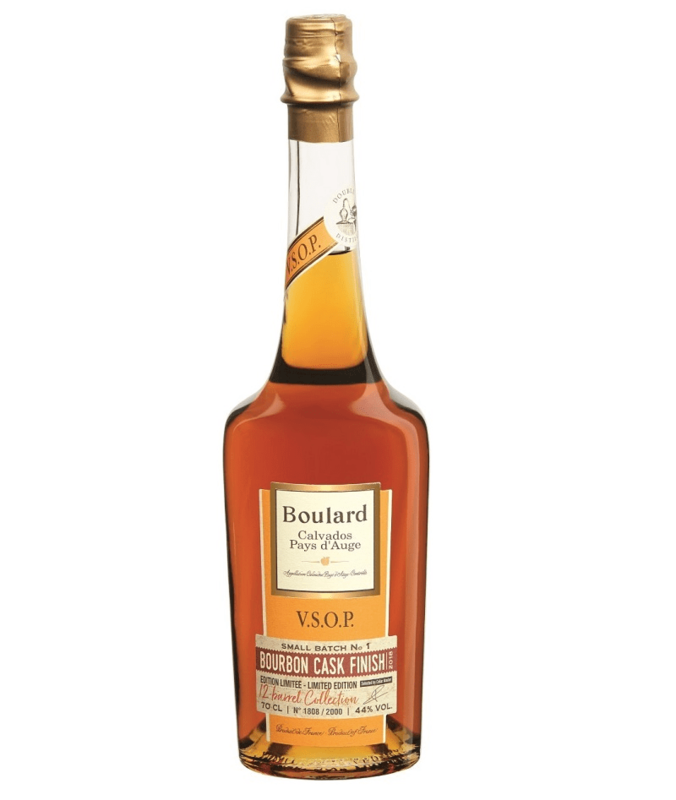 And, with its lush apple character dulled a bit, I even have to say I like Boulard’s standard VSOP a bit better.